Welcome to this year’s AGOA Forum. I am pleased to be with you all this morning. The theme for this AGOA Forum is "Forging New Strategies for U.S. – Africa Trade and Investment." I’d like to spend my time with you addressing one very specific new strategy—the Trump Administration’s desire to negotiate a model free trade agreement with a sub-Saharan African country. 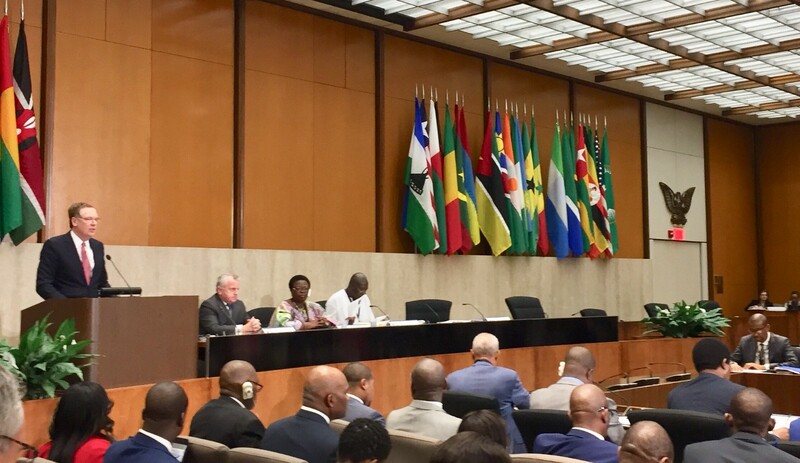 It has long been the desire of the United States for AGOA-beneficiary countries to advance to a point where it would be possible to talk about a comprehensive and more permanent framework to deepen our relationship. Indeed, AGOA was designed to encourage alignment around best practices in order to pave the way for a free trade agreement between the United States and sub-Saharan African countries. Our Congress reinforced this point during the reauthorization of AGOA in 2015 when it expressly instructed the USTR to pursue free trade agreement negotiations with AGOA eligible countries. In part because of AGOA’s success, we believe that many of you are at the point where we could enter into FTA negotiations. If you are willing, we are eager to take this next logical step in our relationship.